First look at writer/director Sebastian Gutierrez's thriller. After an array of supporting roles in movies like Mad Max: Fury Road, The Neon Demon and The Dark Tower, Australian model turned actress Abbey Lee gets her first lead role in writer/director Sebastian Gutierrez's Elizabeth Harvest. In a plot that seems inspired by Hitchcock's Rebecca, Lee plays a young woman who arrives at the sprawling estate of her wealthy husband (Ciaran Hinds), who forbids her from entering a mysterious room he keeps locked. The film also stars Carla Gugino, Dylan Baker and Matthew Beard. 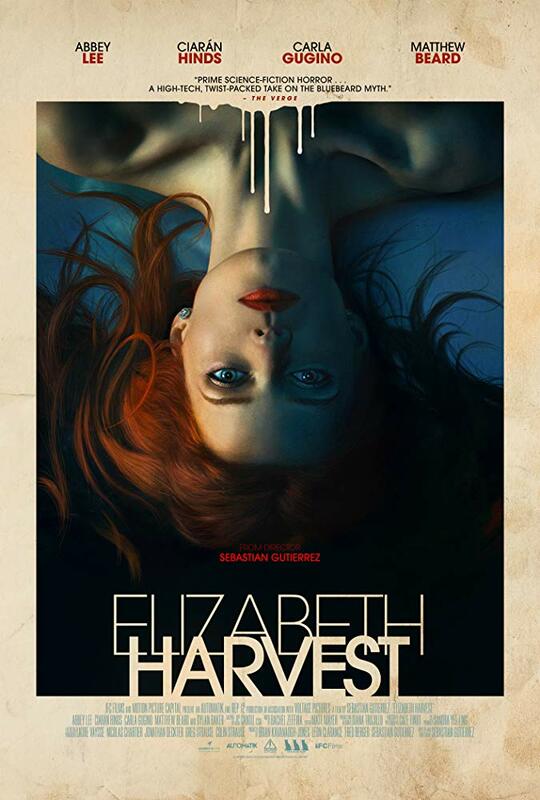 Elizabeth Harvest doesn't have a UK/ROI release date yet but you can check out the new US trailer below. Nothing is as it seems in this brain-bending plunge into our darkest desires. Elizabeth (Abbey Lee), a beautiful young newlywed, arrives at the palatial estate of her brilliant scientist husband Henry (Ciarán Hinds). Ensconced in modernist luxury with an obedient—if slightly unsettling—house staff (Carla Gugino & Matthew Beard), she has seemingly everything she could want. But one mystery tantalizes her: what is behind the locked door to Henry’s laboratory that he has forbidden her to enter? When an inquisitive Elizabeth dares to find out, everything she thought she knew about her husband—and about herself—will change. 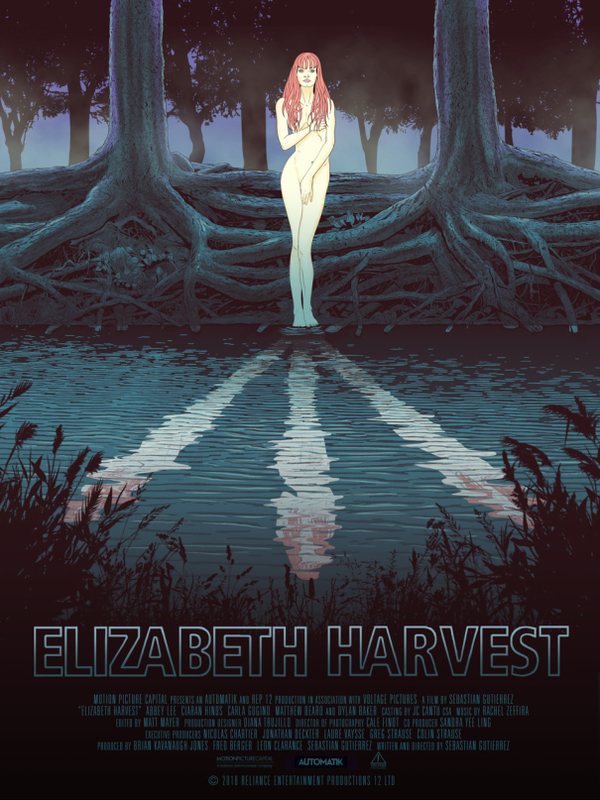 Elizabeth Harvest casts a spell of creeping Gothic menace as it unravels a disturbing tale of identity, obsession, and twisted love.